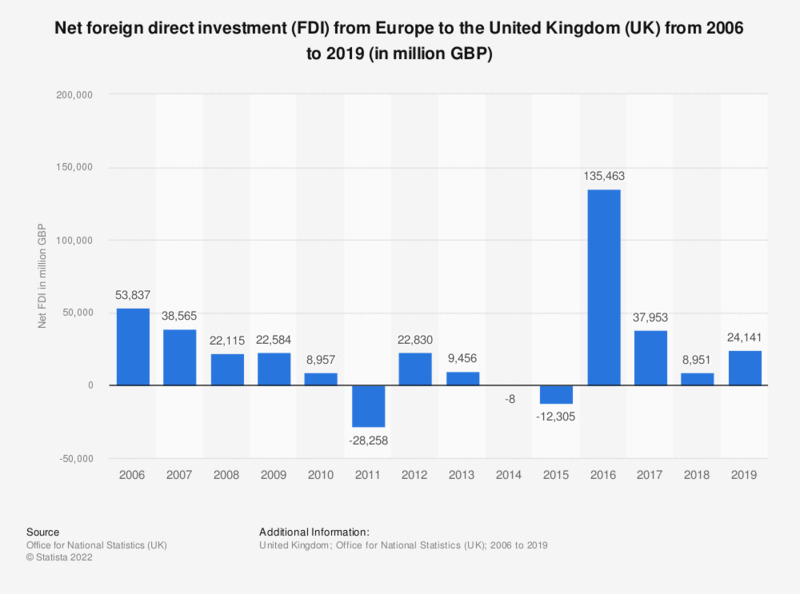 This statistic shows net foreign direct investment (FDI) from European companies into the United Kingdom (UK) from 2006 to 2017. Net FDI peaked in 2016 at 135.5 billion British pounds. In 2017, it decreased sharply to 36 billion British pounds. Everything On "The British economy" in One Document: Edited and Divided into Handy Chapters. Including Detailed References. Statistics on "The British economy"